What a scenario! 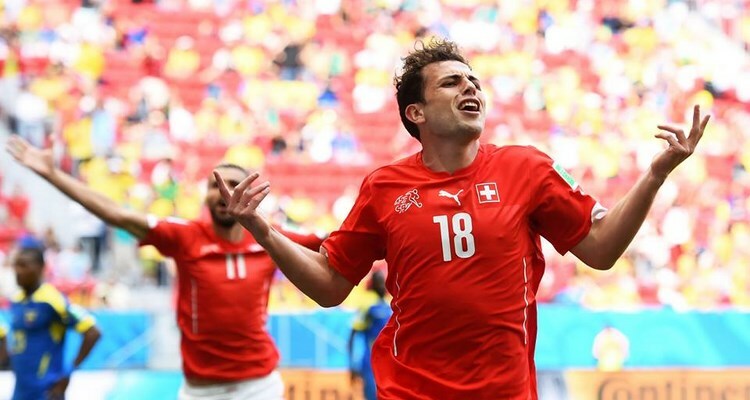 Yet engaged in a very pleasant match, Switzerland and Ecuador have been slow to decide Sunday in Brasilia for the first match of Group E. And in this meeting, each of the two sides had its highlights. But it is the South Americans who have shown the most enterprising from the start of the game. Logically, following a free-kick of Ayovi, Valencia Enner alone in 5m50 propels the ball with his head in the nets of Benaglio. Behind Switzerland revolts. Shaqiri takes control of operations without much success. The Nati is led at the break. From the restart, Hitzfeld inserts Mehmedi. It took only 121 seconds for the attacker to find the back of the net on a corner of Rodriguez. Therefore, there is a rain of missed opportunities on both sides. And while we are moving towards a draw, Haris Seferovic, at the end of the 93rd minute offered the winning goal to the Nati. Final score 2-1. The second match of the group pits France to Honduras.